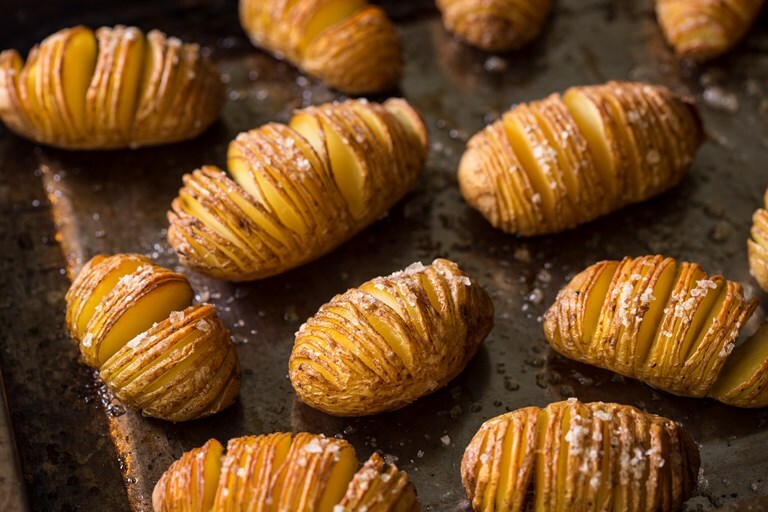 This hasselback potato recipe will fast become one of your go-to side dishes. Charlotte potatoes are the best choice for hasselback potatoes, as their firm waxy flesh stays intact during cooking. If desired, sprinkle over some freshly grated Parmesan before serving for a decadent cheesy hit.